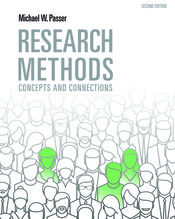 Book-specific Research in Action activities put students in the role of the researcher and ask them to make decisions in planning and executing a study from idea to results. Each activity is introduced in the appropriate chapter and emphasizes core concepts from the text. Try out a sample Research in Action activity below!